Everyone has got to know about Cat Hoch and her band by now. 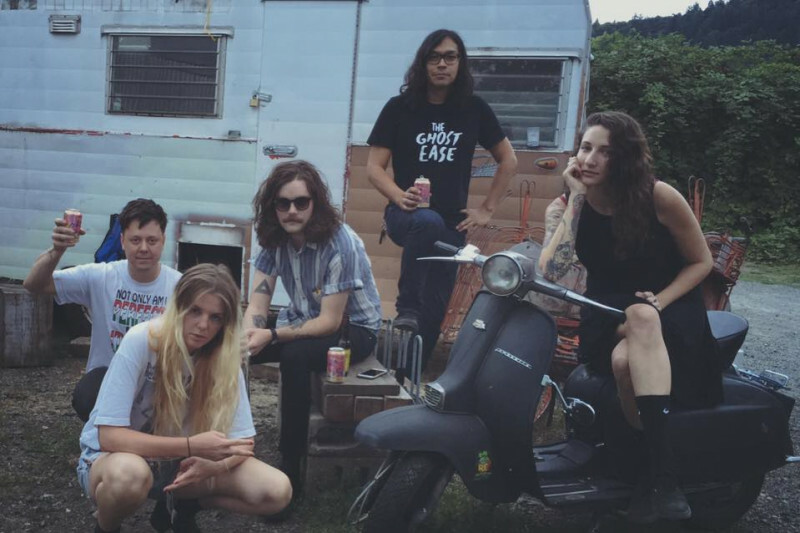 Hoch, along with bassist Theo Craig, guitarist Eric Sabatino, synth and vocalist Anna Tyler and Adam Breeden on drums, has established a top slot in Portland's music scene over the last couple years. Coming out leading in best new band polls, getting premium bookings at local music festivals and clocking in hours of hard work in general have kept Hoch and her band in the eyes of a music adoring public. The band is currently reaching out to fans for help and if it all works out, fans will be pleasantly delighted. Thank goodness this isn't coming in the wake of an equipment theft like Hoch's last crowdfunding campaign. Instead, Hoch is reaching out in hopes of raising enough money to produce and release a full length album. Recording isn't the easiest or inexpensive feat, so Hoch's GoFundMe is asking for $4,000 to hop back in the studio with one of Portland's finest - Riley Geare. More details into the prizes offered are given on the GoFundMe page, but include cute prizes like "a physical copy of the EP, as well as a digital download of the new record and a vociemail from me singing to you telling you I love you and thank you" for a $50 donation, and "we throw a house show personally for you in Portland, Or (as long as you can find a house). Dedicated to you and personally love you forever" for a $350 donation. For those that still somehow haven't seen Cat Hoch and her band play live, you can catch them tonight at Bunk Bar opening up for some pretty legendary Portlanders, Colin Hegna (of Brian Jonestown Massacre) and his band Federale. San Francisco based neo psychedelic rock band, Cellar Doors are playing a great show with a unique line up that should not be missed. 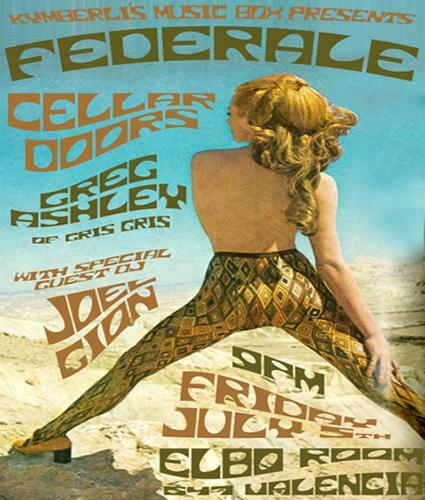 TONIGHT at the Elbo Room in San Fran, you can catch Cellar Doors along with Federale, a musical project of Brian Jonestown Massacre member Colin Hegna, Greg Ashley of The Gris Gris and the illustrious Joel Gion of BJM who will be DJing the event. We highly recommend you make this show because everyone one of these bands and musicians are completely stellar. For more information and to RSVP to this show, click here!